A bustling little town just minutes away from Ooty, Coonoor is next most visited tourist place in the region. The hill station of Coonoor is slocated at 1,850 meters above sea level. It has developed into one of the top hill stations in the Nilgiri District for locals and tourists to enjoy. And while the neighbouring Ooty is larger and busier, Coonoor is a more secluded and quieter destination which is perfect for those who prefer a more relaxed environment. Coonoor caters people who want to avoid huge crowds and enjoy outdoor activities. Trekking, hiking, and bird watching are some activities to indulge into. The town is actually the primary starting point for many trekking enthusiasts who want to explore the Nilgiris. A number of trailheads start in and around the town. In fact, some of the town’s attractions, such as the Droog Fort, are only accessible by trekking. Even its main attraction, the natural botanical garden called Sim’s Park, is catered to more rustic undertakings. Coonoor has in its folds many interesting tourist spots like Dolphin’s Nose, Sims park, Catherine Falls, Hidden Valley, Lamb Rock and Droog Fort. It is also a major trekking base. Popular trekking trails lead to points such as Lamb’s Rock and Lady Canning’s Seat. There is a park called Sim’s Park which has no relation to the computer game The Sims. There are many species of plant in the park including magnolia, pines, tree ferns, and camellia. There is a train line that connects Coonoor with Ooty. Like other hill stations in the area, Coonoor has a number of viewpoints from which visitors can enjoy panoramic views of the surrounding hills and meadows. And like other hill stations, it has a number of distinctive natural monoliths and landmarks which can be great photographic subjects. As much as this town is an idyllic mountain getaway, it is also a very historic town. Traces of its historic past have contributed to its uniqueness and appeal. Its old-style railway station, the ruins of Droog Fort, and a ride on one of the old stream engine trains that pass through it are parts of its historic attractions. From its rustic activities to its historical attractions, this beautiful town in the hills wonderfully blends its diverse collection of interests which, makes Coonoor so irresistibly charming. 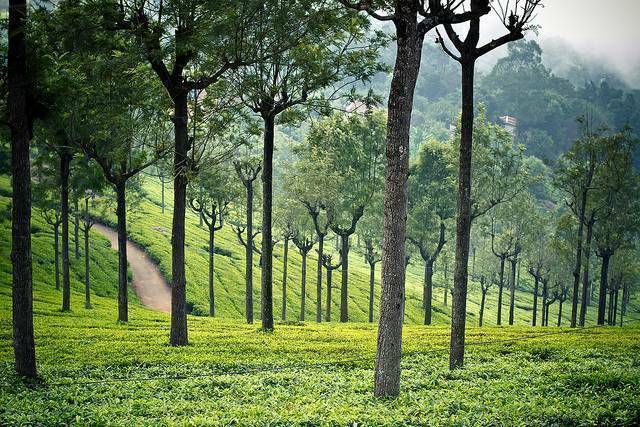 Go for walk in the tea gardens early, its very refreshing. Also you can have tea from the nearby tea shops while relaxing in the tea gardens.